Ming Yin is an assistant professor in the Department of Computer Science, Purdue University. Her primary research interests lie in the interdisciplinary field of social computing and crowdsourcing. She designs and conducts large-scale online behavioral experiments to obtain a quantitative perspective on participants' behavior in social computing and crowdsourcing systems (e.g., on-demand labor markets like Amazon Mechanical Turk). Based on the empirical evidence from the behavioral data, She further works on designing realistic models, novel algorithms and effective interfaces to facilitate the development of more intelligent and sustainable systems. Her research broadly connects to the fields of artificial intelligence and applied machine learning, computational social science, human-computer interaction and behavioral economics. 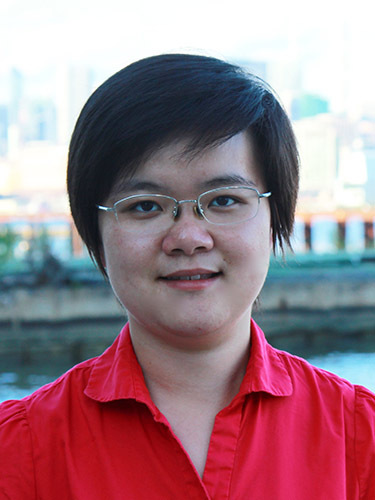 Ming is named as a Siebel Scholar (Class of 2017), and has received Best Paper Honorable Mention at the ACM Conference on Human Factors in Computing Systems (CHI'16). Ming is a postdoctoral researcher at Microsoft Research New York City in 2017-2018, completed her PhD in computer science at Harvard University in 2017, and received her bachelor's degree from Tsinghua University, Beijing, China, in 2011.